Almost 7 in 10 Americans are on at least one prescription drug, but up to 50% of medications aren’t taken as prescribed. According to the Oman Medical Journal, those in developed countries with chronic illnesses only take half of medications prescribed by doctors. This costs the United States as much as $300 billion and causes upward of 125,000 deaths in the United States, each year. “Medication compliance” means taking your prescriptions exactly as directed by your doctor. Medication noncompliance happens for a variety of reasons including cost, forgetfulness, questioning efficacy, confusing directions, and negative side effects. No matter the reason, medication noncompliance is a serious problem that can jeopardize your health and well-being. Here’s why you need to take prescription medications as prescribed. Some prescription medications carry a higher-degree of risk compared to over the counter drugs. For example, opioids are highly addictive, and require special attention when taken. Heart medications and antidepressants are other prescriptions that must be taken as directed for them to be fully effective and not cause further health issues. Often times, the consequence of not taking medication as directed leads to medical problems worsening. One study by Anon found people with a range of illnesses were more than twice as likely to be hospitalized if they didn’t follow prescription directions given by their doctor or listed on the bottle. Stay safe by following medication instructions. In the US, non-adherence causes 30% to 50% of chronic disease treatment failures, thousands of annual deaths, and at least 10% of hospitalizations. Doing so helps to prevent strokes, heart attacks, or other high risk illnesses that could be fatal. Taking multiple medications for different health conditions–or even the same condition–can also put you at risk. Drug interactions can amplify negative side effects, make a medication stronger, or cancel out active ingredients. Understanding how to take multiple medications at once increases the chances of them working together effectively. Be sure to share all of your current medications with your doctor, upfront. Talking to your doctor or a pharmacist about any new or current medications is essential to preventing medical complications and adverse reactions from dangerous drug combinations. Bring a list of prescriptions to your appointments if you’re having trouble remembering which medicines you’re prescribed. Always confirm with your doctor which drugs are safe to take together, and which ones won’t cancel out effectiveness when paired, even if you think you know the answer. Be sure to disclose any over-the-counter drugs, vitamins and herbal supplements when meeting with your doctor. Detail allergies or any other prior issues you’ve had at your appointment as well. You can also put your current medicines—ideally in their original packaging—in a bag and take them with you. Taking these steps will provide your doctor with information about which medications are safe for you. Prescription drugs are only available under the guidance of a physician, for good reason. Policy regulating prescription compliance is there to protect you. 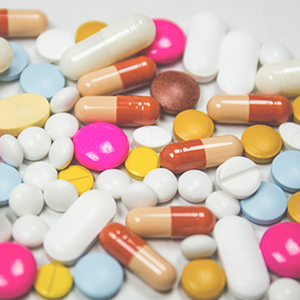 Additionally, taking medications that aren’t prescribed for you puts both you and whomever you’re receiving them from at risk with the law, which could result in fines or even jail time. The directions on a prescription medication label are the result of extensive research. Each medication is made to be taken as prescribed. If you miss several doses of a medication, it prevents you from receiving the full benefits. For example, staying compliant with antibiotics will fully treat a bacterial infection, but it won’t if you don’t complete the full course of the medication, which can cause the infection to come back worse. Even if your problem seems like it’s cleared up, make sure you finish your prescription as directed to avoid delayed improvement or further illness. Make sure to follow all recommendations listed on the bottle, without deviation. If a specific label tells you to avoid alcohol while taking a drug, avoid drinking. Your dedication will be worth the effort. Creating routines. Try a special pill container divided for the days of the week. Taking medications at the same time daily. Think about setting an alarm as a reminder. Schedule pick-ups ahead of time. Mark them on your calendar, or sign up to have your prescriptions delivered to the office or at home. Staying compliant with your medications isn’t always an easy task, but developing a strategy for taking the right dose, at the right time, in the right way, will help you create a medication routine that works for you. Don’t be afraid to ask for your doctor for any clarification needed. The friendly staff at NWPC pharmacy can answer any questions you may have about prescription medications—and help you fill any prescriptions.